I recently moved from iPhone 5S (Ja Ja or Yes Yes) to iPhone XR and thought I’d enable Apple FaceID as my primary authentication method for my corporate owned device vs. PIN/Passcode and … to unlock my device + Citrix Workspace. I have to say I’m impressed thus far it’s a really super authentication method and defiantly not a gimmick! Example I setup notifications for Citrix Secure Mail with the Show Previews set to “When Unlocked (Default)” this means that when an unknown vs. family individual picks up my iPhone they’ll see a Secure Mail badge with just “Notification” as the message see below. However when I pick up the iPhone I see something quiet different, as you’ll notice below. I now very quickly get the right vs. relevant context surrounding the email(s) content sent, therefore I am better informed to decide when to respond e.g right now, in a few minutes or later dependant upon the activity/task that I am busy with, within my current Citrix Workplace setting e.g Citrix Paddington office, London tube vs. bus, Train up north to Manchester e.t.c as at Citrix it’s recognised that work is not a place anymore. Think about yourself, you’re probably consuming 1-2 LOB apps at least 2-3 times before arriving in your first workplace setting for the day for a meeting or attending an event? Take note you’ve already signed into WORK at what 06:00-30 if you have children or perhaps later. Did this behaviour exist 5 years ago for you? Ok back to Apples FaceID. I wanted to truly test, push the limits and capabilities of Apple FaceID as a primary authentication method for my Citrix Workspace + Workplaces going beyond what we all test it seems e.g different coloured lighting, in the dark, twilight, dusk, low vs. bright light and the list goes on and it all worked perfectly so great job Apple so far! I wanted more, I wanted a sudden change in my face to truly push FaceID to its limits so as many men do in November I to pulled a Movember – https://uk.movember.com (perfectly timed) so I had a thickish but full beard + moustache which was timely for me testing its limits so I registered my face with both (yes it was passing the scratchy stage) so I then decided to leave it post Movember for 3 days to see if it was learning more about my face to better recognise me and then implement the dramatic change by shaving it all off clean and what do you think happened? 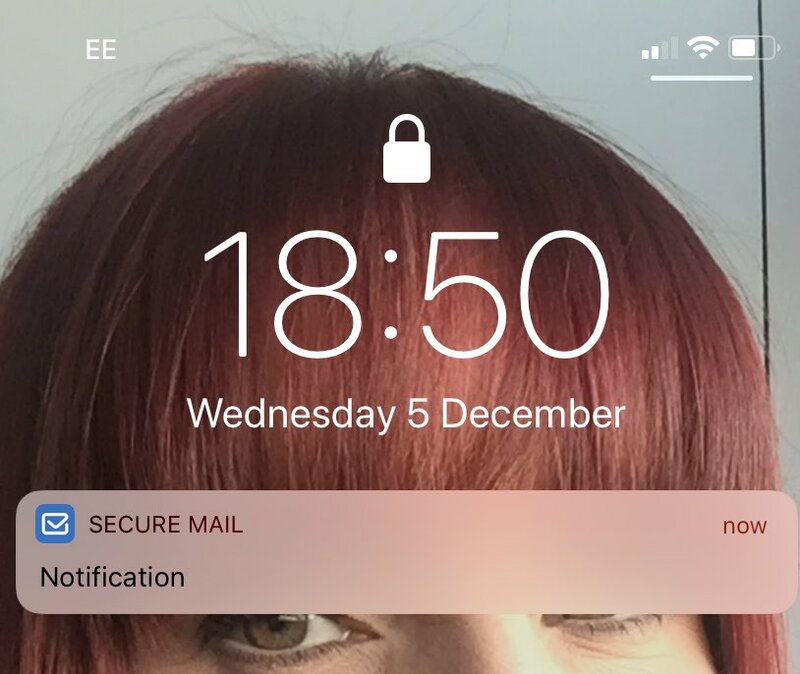 Did Apple FaceID recognise me? Yes it did first time, great job again Apple! So can you be confident in consuming FaceID for Citrix Workspace app or even for unlocking your iOS devices? Yes, if it’s a supported feature on your iOS device and obviously if your corporate IT policy allows for it by not blocking it through policy controls. Authenticate yourself within Citrix Workspace app for iOS e.g – https://itunes.apple.com/gb/app/citrix-workspace/id363501921?mt=8 using your current method e.g TouchID and or user/passwd/token e.t.c and then to enable it Apple FaceID navigate to the settings “Menu” tap your desired configured account or the default which is “Store”, next tap “Edit Account” and finally toggle the “FaceID” option to the ON or ENABLED position/state and then you are ready to begin consuming Apple FaceID as your primary authentication method to Citrix Workspace app on iOS. I was not a fan of Apple FaceID initially when it launched as I wanted to do some homework + research it a bit more and see and hear what other peoples experiences where, but most of all wait for the technology to mature a little. One thing I do keeping thinking about is that Apple FaceID lets you add up to 2x faces only on the iPhone XR*. I wonder if it needs to support up to 4x for family vs. 1x for business scenarios controlled by MDM/UEM polices? I will continue my testing over time and circle back in a few months with a new blog post of simply update this and do more background research on Apple FaceID* but until then enjoy it, its worth enabling! The views expressed here are my own and do not necessarily reflect the views of Citrix or Apple. This entry was posted in Citrix, Citrix Cloud, Citrix Workspace app, CTA, NetScaler, Pii, UEM, Unified Mobile Management, XenMobile and tagged Apple, Citrix, FaceID, iPhone, iPhone XR, Secure Hub, Secure Mail, UEM, Unified End-Point Management, XenMobile on December 8, 2018 by lyndonjonmartin. The following content is a brief and unofficial prerequisites guide to setup, configure and deploy Citrix XenMobile Server (XMS) 10.7 on-premises prior to deploying in a PoC, Pilot or Production environment by the author of this entry. The views, opinions and concepts expressed are those by the author of this entry only and do not necessarily conform to industry descriptions or leading best practises. The views expressed here are my own and do not necessarily reflect the views of Citrix. Please be aware that I published this article today 19/02/2018 but it should be considered evergreen until I remove this section thank you. This is going to be one of the longest posts that I am about to write so come back from the moment its published over Feb/March/April 2018 as I will most likely be making adds/moves/changes. This blog post serves to provide the most right vs. relevant information to help you better understand how-to deploy the current Citrix XenMobile on-premises server which is 10.7.x.n as of February 2018. I will be writing a follow-up blog post on deploying the XenMobile Service powered by Citrix Cloud – https://citrix.cloud.com/ in due course. XenMobile is a complete UEM or MEM via https://twitter.com/JJVLebon (mobility) solution for managing apps, data, and devices from a single unified platform with MDM & MAM (mobile apps cut, copy & paste) policies, automated actions for enrolled (supported platforms) devices that will keep employees safe, secure and productive on vs. offline enabling them to work on there own terms. I was one of the first set of individuals to pass the very first Citrix Certified Professional – Mobility (CCP-M) exam for XenMobile 9.x.n while at Citrix Summit in Jan 2014. Now that was one very tough exam as you needed to know Citrix NetScaler, XenMobile NetScaler Connector, (ZenPrise) XenMobile Device Manager, StoreFront, Citrix Mail Manager, Citrix AppController, ShareFile Control Plane and of course StorageZones. Its Fen 2018 and its still equally a tough exam to pass even though the XDM + XAC where merged into a virtual appliance now called the XenMobile Server (XMS). If you have not deployed a mobility solution in the past or your an expert you’ll agree most likely that mobility or UEM/MEM is complex and is consistency changing with new devices, OS upgrades along with new vs. deprecated vs. behavioural changes to MDM APIs, app updates, push API’s vs. MDM platform + vendor signing of certificates and finally oh yes all those MDM ports that you need configured correctly through-out your organisations Wi-Fi network and so the list continues on and on…. – Start by reading the XenMobile Security Whitepaper – https://www.citrix.com/content/dam/citrix/en_us/documents/products-solutions/xenmobile-security-understanding-the-technology-used-by-xenmobile.pdf. This will provide a great insight into our XenMobile, FIPS compliance, how SSL VPN or mVPN for MDX enabled apps behaviour and so much more, that is definitely worth your time! – Configure the XMS with a public routable FQDN and NOT an IP addr if you intend to manage devices externally via the internet vs. internally over corporate Wi-Fi and if your enabling the self-help portal for personal management. – Utilise the PostgreSQL database option for a PoC’s (up to 100 devices) however this will mean that you need to redeploy the XMS using a remote SQL database for PROD environments as you’ll most likely want to have your XMS v/a in a cluster for high-avaiability. NOTE: Do not pre-create a MS SQL database allow the XMS v/a to create your MS SQL database against the SQL server during the initial setup process when performing the initial FTU within the XMS CLI. – Utilise local v6 licensing on the XMS v/a for a PoC’s but again for PROD utilise a remote Citrix licensing server which is 100% required to support a XMS Cluster as the XMS v/a are stateless with all the configuration held within the remote Microsoft SQL database. TIP: You’ll need to active your XenMobile licenses from the available list when configuring the remote v6 license server prior to continuing! – Create separate mobility admin mailboxes to then be used to create accounts with Apple, Google & Microsoft so that everyone has access to create, sign and revoke MDM push certificates vs. push API’s like FireBase. – Setup a calendar invite vs. trigger in your choosen support platform to notify the mobility admin mailbox to alert you every 11 months to renew all your certs otherwise you’ll break your MDM deployment e.g no devices under mgmt anymore this applies to ANY MDM vendor to be 100% clear! – Dont assume that one individual should be deploying the XenMobile (any mobility) PoC themselves as in my experience unless your 100% comfortable with networking, ACLs, SQL DBs, gateways. To be honest most often its 3 people from within the IT team for high security organisation its double I find. Typically the 3 people are the Citrix Admin whom will require help & support from a networking (f/w dude:-)) or netscaler admin and then the SQL guru. – I typically advise partners and customers to focus and agree on 2x mobile devices and a defined list of UEM policies to configure for testing in the PoC against there use case(s). – Ensure that all your required ports are opened up correctly in vs. outbound (internet <-> edge <-> dmx <-> tru). – DO NOT USE A PROD NetScaler deploy a new and fresh NetScaler VPX for your XenMobile (Service) PoC on-premsies vs. your chosen resource location. – If you are intending to MDX wrap or enlighten your iOS – https://developer.apple.com/programs/enterprise/ and Android mobile apps then I’d suggest that you sign-up for the required developer accounts well in advance as some customers & partners have experienced delays up to 1-8 weeks. You have been warned and also ensure that you understand the rules around these dev accounts! – Screen record the PoC deployment e.g GoToMeeting so if you make a mistake you can review the recording to understand what you misconfigured and most importantly where on the NetScaler vs. XMS e.t.c is was that the mistake occurred. – If your not going to utilise a public CA signed certificates (Strongly Preferred) as your deploying the XMS v/a in your home lab only, then when exporting your cert from your Enterprise CA export using the Base64 format and then export as a full chained PFX format cert. – The XMS mgmt. Web UI for administration is restricted from the internet as the mgmt. web UI is only accessible over https://XMS:4443 which is not part of the XM 10 wizard as of e.g NSG 10.5-55.8+ for security harden purposes (double check eDocs to be safe!). This often leads to Mobility/Citrix Admins thinking that they have misconfigured the wizard on the NetScaler when in fact it most likely is your connecting connection on https://XMS-vip:4443 via the VIP owned by the NetScaler but if you connect directly to the XMS’s configured IP addr via https://XMS-direct:4443 you’ll be able to access the XMS Admin Web UI. – SuGgEsTeD personal tip utilise Mozilla Firefox for configuring and managing your XMS v/a for me it works the best! – Ensure that all users/admins have first, last name & e-mail addr fields populated in AD prior to any enrolment otherwise they will receive an error e.g “Invalid user for SSO” when users attempt to sign-on. The currently available XMS v/a as of writing this blog article is 10.7.x.n which is where these system requirements have been obtained from dated Feb 2018 – https://docs.citrix.com/en-us/xenmobile/server/system-requirements.html. Citrix Customer Evaluation licenses can be obtained at – http://store.citrix.com/store/citrix/en_US/cat/ThemeID.33753000/categoryID.63401700 if you are having trouble please contact your local Citrix representative vs. partner for assistance and guidance. – Open up 389 between the XMS v/a(s) and your AD server in your trusted network, you can optionally configure secure AD/LDAP on 636 but you will required extra certs for this configuration and its well documented in Citrix eDocs vs. obviously I believe. – Cloud Hypervisors include Azure (ARM is preferred); AWS EC2 not supported for XenMobile. – NetScaler service account I’d advise against the default which is nsroot:nsroot slightly obvious but I see this time and again can you believe it!!!! – AD/LDAP service account that is utilised to check validate and authenticate users against your organisations AD/LDAP. 1x public internet routable FQDN e.g uem.axendatacentre.com with 1x public static internet routable IP addr that resolves to 1x private static IP addr in your DMZ that are owned by the NetScaler. 1x public internet routable FQDN e.g mam.axendatacentre.com with 1x public static internet routable IP addr that resolves to 2x private static IP addrs in your DMZ that are owned by the NetScaler one for direct NAT and the other one is for *L/B of the MAM traffic. Total private IP addrs required are 6x. Total public static internet routable IP addrs required are 2x. Total public internet routable FQDNs 2x. Apple’s APNs Certificates portal is accessible at – https://identity.apple.com/pushcert, if you like a technical overview of how APNs works check out Apples developer documentation on the subject at – https://developer.apple.com/library/content/documentation/NetworkingInternet/Conceptual/RemoteNotificationsPG/APNSOverview.html#//apple_ref/doc/uid/TP40008194-CH8-SW1 its quiet extensive and in-depth. NOTE: Please use 2048 cipher encryption for the cert. 3. Navigate to https://xenmobiletools.citrix.com/ and sign in where prompted with your Citrix.com partner access details. 4. Follow the onscreen process for signing your XenMobile APNS CSR which will return a *.plist file. 5. Login to and upload your CSR to the APNS portal at – https://identity.apple.com/pushcert/ by following the onscreen process. 6. Download the generated *.pem file from the APNS portal to the Windows server that you initially created the CSR on. 7. Import the *.pem file into IIS using the complete a CSR response and specfic a friendly name. 8. Export the imported certifcate as a *.pfx and specifiying a password. Note: DO NOT FORGET the password. 9. When prompted during the XMS configuration of the WebUI rememeber to enter the your chosen password and import it’s a keystore -> pfx format and select aPNS as the cert type. Citrix provides a more detailed how-to and overview at – https://docs.citrix.com/en-us/xenmobile/server/authentication/apns.html. Google or FireBase Cloud Messaging (GCM or FCM) enables push capabilities for Android vs. implement during enrolment an “Active poll period policy” for the Android handset to check back into the XMS to receive new policies, apps, check compliance e.t.c. Finally note that if you do any research FCM https://firebase.google.com/docs/cloud-messaging/ is the natural evolution of GCM platform, so think FireBase first for Android :-). 1. Create a organisation Google Developer account at – https://console.firebase.google.com/?pli=1, if your keen to understand how it works visit the XenMobile eDocs web page for Firebase at – https://docs.citrix.com/en-us/xenmobile/server/provision-devices/google-cloud-messaging.html. 2. The process to create the push capabilities is in my personal view way easier than APNs as all you need to do is generate an “API Key” and “Sender ID” which is then stored on the XMS at “Settings – > Google Cloud Messaging“. Visit the above URL to learn how to implement Firebase. 3. Please pay attention to the Firebase XenMobile diagram in the above eDocs link which includes the following Firebase ports 5228, 5229 and 5230 between the enrolled XenMobile handset and the GCM platform. Why is this important well these ports will beed to made available from the corporate network outbound like APNs to enable enrolment from within the corporate enterprise or high security environments otherwise you will need to enrol over 3/4G or via home/guest Wi-Fi. Before you even attempt to begin I’d strongly advise you to read and or print out the following webpage via Citrix eDocs – *https://docs.citrix.com/en-us/xenmobile/server/install-configure.html which contains a Preinstallation checklist and deployment flowchart. My goal in this section to provide some context with some of the deployment options during the initial configuration of the XMS v/a, you can refer to * for full installation instructions. 1. Download the current XMS 10.7.x.n+ v/a from – https://www.citrix.com/downloads/. 2. Unzip the v/a and upload it to e.g Citrix XenServer 7.1 LTSR via XenCenter or you could use any other Citrix supported on-premises hypervisor. Once successfully uploaded check that your v/a has the minimum required computed requirements 2-4vCPU and 4-8GB of RAM assigned (increase to MAX if 10 or more users in the PoC as its all about the experience but for home lab purposes I utilise 2vCPU and 4GB of RAM as I only have 3 devices connected. 3. Start the XMS v/a via XenCenter it will take longer to boot-up if you have assigned the bare min compute resources and if your underlying storage is (shared) HDD based. 4.1 – The CLI uses admin while the Admin account used for the Web UI uses administrator, also be aware they are LOWER CASE! 4.2 – Nothing appears when typing in select inputs. 6. Next you are promoted for network settings the IP addr will be e.g 10.1.0.99 as per my text diagram above. 7. Next your asked about an “Encrypting Phrase” most people select “y” to randomise it however you’ll never know what it is, nor can you obtain file to read it! If you are considering deploying a cluster of XMS v/a for H/A then most individuals will select “n” and create there own “encryption passphrase“. 8. I currently at the moment will not provide any context on FIPS so I will differ to https://docs.citrix.com/en-us/xenmobile/server/install-configure/fips.html#par_anchortitle_8dcb for configuration options otherwise this blog will get out of hand. I will do a follow-up or adjustment to this post in the future to cover FIPS in greater detail. 9. Next your asked about configuring a database for the v/a to store configuration information. The “l – Local” option will enable PostgreSQL which is now only supported for customer PoC’s while historically prior to Citrix acquiring ZenPrise is was a supported configuration but that was 5+ years ago under XDM, so be 100% clear PostgreSQL is for PoCs ONLY with a XMS v/a! It is also NOT supported with XMS clusters as the v/a’s are stateless relying on the SQL database for configuration information e.g users, policies, delivery groups e.t.c so you require a “r – Remote” SQL database. 9.1 – Let the first XMS v/a that you configure as part of the your XMS cluster create the required XM database itself DO NOT pre-populate a database name on your MS SQL database cluster vs. server! 9.2 – If you select to enable XMS clustering you will need to enable port 80 within the XMS f/w ACL and do this BEFORE performing a clone to create your XMS cluster. Also in high security environments remember to include in your submitted ACL to allow the XMS v/a’s to communicate over TCP port 80 to enable R-T comms between all v/a members within the cluster. 9.3 – Finally Citrix does NOT support DB migration e.g PoC to UAT-PROD environments. 10. The most important step that I often see vs. hear vs. receive requests about is what do I type in for the “XenMobile hostname”? Please type in the fully qualified and internet routable FQDN e.g uem.axendatacentre.com, what does this mean? It means that if your where to type in uem.axendatacentre.com on your device that you reading this blog post inside the corporate file or at home it is reachable. Please do not type in e.g xms01 and then internal vs. external DNS entries are entered in for uem.axendatacentre.com to xms01 this will NOT work properly and devices will NOT enrolling you have been warned! If you do this you will beed to START all over with a fresh XMS v/a! 11. For the XMS comm port requirements i.e the v/a communicates with the users (SHP) and devices (UEM or MDM/MAM) it is perfecting fine to accept the defaults ports here unless you a high security organisation + e.g Bank, Government agency e.t.c and want to further harden yourself however remember the most complexity you add e.g changing ports here will mean that you will need to adjust the auto defined ports on the NetScaler if you do the XenMobile Wizard on the NetScaler v/a. 13. Next we get to the Public Key Infrastructure (PKI) which I’d prefer to configure configure all the certs with the same passwd or pass phrase or you can define a different passwd or pass phrase for each of the four certs (root, intermediate for device enrolment, intermediate for SSL cert and finally an SSL for your connectors +. Finally you’ll require the eXaCt passwd(s) for an XMS v/a within your h/a cluster. 14. Finally now create a passwd for the default “administrator” account. I would personally as my own leading best practise make the CLI admin vs. Web UI administrator passwords different for security purposes as one member of the team maybe the hypervisor admin whom does all the CLI stuff aswell while the Mobility admin handles all the logical configuration via the Web UI administrator account. 14.1 – Make both admin, administrator passwords random and securely store them BUT separately from one another. Setup and assign AD domain admins security group as FULL Administrators of the XMS v/a via RBAC – https://docs.citrix.com/en-us/xenmobile/server/users/rbac-roles-and-permissions.html. 15. Once you select “Return” to above set the initial configuration is stored and you are prompted to upgrade from a previous release please select “n” which is also the default! The XMS v/a will stop and start the app and once its completed the you see a FQDN e.g https://10.1.0.99:4443/ this now indicates that you can complete the Web UI part of the XMS v/a setup and configuration. Note this can take up to 5-7 mins dependant upon how much vCPU, RAM that you assigned to the v/a and if your on SSD vs. HDD storage this will speed up the process naturally. 16. The biggest mistake Mobility/Citrix Admins makes with XenMobile is that when they attempt to access and configure the Web UI part of the setup they will typically access it via the NetScaler owned VIP for uem.axendatacentre.com <-> 81.x.x.1 <-> 10.1.0.20 when they should be accessing the direct IP addr of the XMS v/a <-> 10.1.0.99. Most individual do this to test there NetScaler setup, please DO NOT setup the NetScaler do it after you have setup the XMS v/a. Finally the reason you can’t connect to the Web Admin UI via the NS VIP e.g https://uem.axendatacentre.com:4443 either internally or externally is that the NS disables 4443 via the VIP to harden and protect the Web Admin UI from the Internet so you’ll need to connect to the direct XMS v/a <-> 10.1.0.99 IP addr on https://10.1.0.9:4443. Once your at the login prompt of the Web UI type username “administrator” and your chosen passwd and “Sign-in” and the “Get Started page” appears only once to complete the Admin Web UI part of the XMS v/a setup and configuration. 17. The first web page provides an overview of the available licensing configuration options, for a PoC or if its your first time using XenMobile then I’d suggest that you utilise the built-in 30 day evaluation license to give you time better understand how to configure XenMobile so that you can enforce the required UEM policies against devices vs. (MDX) apps. If you intend to deploy a XMS h/a cluster then like the XMS database you’ll need to setup or make use of your existing remote v6 Citrix licensing server however IMPORTANT make sure that this lic server version meets the minimum release requirements of 11.12 for 10.7.x.n XMS firmware/release version. If you choose to use the 30 day trial LOCAL license servers on XMS and now wish to use a REMOTE lic server then please refer to https://docs.citrix.com/en-us/xenmobile/server/system-requirements/licensing.html. I would also suggest to test from each XMS v/a(s) within your cluster that you can successful connect to the remote v6 lic server which is available under the Wrench icon -> Licensing. Description: Date uploaded and what is it? APNs vs. SSL listener? For in-depth information on Cert types and how-to’s for XenMobile check out – https://docs.citrix.com/en-us/xenmobile/server/authentication/client-certificate.html which includes guides on configuring PKI Entities, certificate-based authentication for SecureMai and finally NS cert delivery in XenMobile. Export Configuration Script: Allows you to download conf bundle to upload to NUG to configure XenMobile. I prefer to do this manually myself. Next add the following to your NetScaler Gateway configuration on the XMS. ^ These settings are optional. 20. Next your promoted to setup your AD binding I always prefer using an FQDN vs. IP Addr here as IP addr’s can change however FQDN’s typically don’t otherwise a lot of things in your environment will break. 21. Final configuration you’ll need to do is to setup XMS notifications – https://docs.citrix.com/en-us/xenmobile/server/users/notifications.html which is required for things like bulk enrolment (users e-mail addr must be in AD field), communicating with users when automated actions are configured and users have violated your organisations UEM strategy. Your XMS v/a will begin to restart and once it is successfully rebooted navigate to the XMS v/a direct FQDN https://uem.axendatacentre.com or IP addr and check that the HTTPS cert status in your internet browser to ensure that it is no longer self-assigned by the XMS v/a but matches your uploaded SSL cert bound the SSL Listener. 1. Coming… but in the interim start with https://docs.citrix.com/en-us/xenmobile/server/authentication/netscaler-gateway-and-xenmobile.html. 1. Citrix provides a XenMobile tools platform available at – https://xenmobiletools.citrix.com and also be sure to please refer to XenMobile compatibility documentation – https://docs.citrix.com/en-us/xenmobile/server/system-requirements/compatibility.html for compatibility of devices vs. MDX apps + release versions. 2. Users receive Profile Installation Failed The server certificate for “https://XM-FQDN:8443” is invalid when enrolling a device against XenMobile when using iOS devices. I have personally have not seen this issue occur again for quiet some time but I thought its worth including encase it reappears in the future. So what causes this issue? It is to do with the private key of your *.p12 or *.pfx full chained SSL/TLS cert and appears to only occur when exporting your cert from a new CSR on a Windows OS. To resolve the issue I’d suggest that you download, extract and run the DigiCert Certificate Utility available at – https://www.digicert.com/util/ on the originating windows server that you generated your CSR on for tier XMS v/a for your SSL Listener cert e.g HTTPS. Next follow the guide available from Digicert at – https://www.digicert.com/util/pfx-certificate-management-utility-import-export-instructions.htm to help you find and export your XMS v/a HTTPS cert correctly (advise to use TEST feature button before export) and re-upload it to the XMS v/a and remember to REBOOT the XMS v/a(s) when you change any certs on the XMS v/a(s)!!! You should now be able to begin re-enrolling your devices BUT I would strongly advise to remove any MDM certs via Settings in iOS and then delete SecureHub and re-download it and now the enrolment error messages should no longer appear to your users while enrolling there iOS devices. This entry was posted in #CitrixPartnerLove, #myCUGC, APNS, Citrix, Citrix Technology Advocates, Community Champions, CTA, Digital Workplace, Digital Workspaces, Infrastructure, MDM, MDX, MEM, Mobile Application Management, Mobile Device Management, Mobile Workspaces, Software-Defined Workplace, Software-defined Workspace, UEM, Unified Mobile Management, XenMobile, XenMobile MDM Edition, XenMobile Server (XMS), XenMobile Service and tagged Andriod, APNS, Blackberry, Digicert, EMM, Enterprise Mobility Management, GCM, Google Cloud Messaging, https://citrix.cloud.com/, iOS, MAM, MCM, MDM, MDX, MDX Technologies, MIM, Mobility, mVPN, NetScaler, NetScaler Unified Gateway, Profile Installation Failed The server certificate for, SecureMail, SecureWeb, SSL VPN, UEM, Unified End-Point Management, Windows Phone, XenCenter, XenMobile, XenMobile 10.7, XenMobile Security Whitepaper, XenMobile Server, XenServer 7.1 LTSR on February 19, 2018 by lyndonjonmartin. I thought i first start off with a tour of Secure Notes followed on by my personal views and thoughts of using Citrix’s Secure Notes thereafter. 3. It will redirect you to you’re organisations IdP login where you will be prompted for a username + password and potentially another form of authentication like a receiving a telephone call, virtual token or asked to verify yourself using your biometric authentication. 4. Once you are signed in your can begin creating a note (secure website version of Secure Notes) by providing it a heading and then in the body text your notes or drag and drop pictures, tag your notes and assign it to a notebook (collection of notes perhaps by project vs. organisation vs. team meetings e.t.c), delete unwanted or irrelevant notes, set a reminder against a note, favourite the note or search of other notes that you’ve created. 5. Now you can see in this image that I have been using for sometime now its still less than 30 days but I’m using notebooks to assign my notes by partner, customer vs. major events and i’ve tagged selective notes that require a follow-up and then I remove tags once its completed. 6. I have switched to the Notebooks view from theAll Notes which organises your notes based upon your created notebooks in my case by customer, partner & events and then I assign my notes to these notebooks so i can easily navigate notes for example by a partner or just use the search filter (whats right vs. relevant to you). 7. All your notes are stored securely within your ShareFile personal folder, and if your using Drive Mapper with your Citrix virtual apps & desktops the path to see your notes is at – “S:\Personal Folders\WorxNotes.root” and it does not matter whether your creating your notes using the website version of Secure Notes at – http://securenotes.citrix.com or even if you create your notes using the secure XenMobile enabled app called “Secure Notes” which is available from the public app store for iOS – https://itunes.apple.com/us/app/citrix-secure-notes/id1157570015?mt=8 and Android – https://play.google.com/store/apps/details?id=com.citrix.note.droid&hl=en_GB and controlled by XenMobile MDX technology to stop cut, copy and paste. You can learn more about MDX by reading the XenMobile security white paper available at – https://www.citrix.com/content/dam/citrix/en_us/documents/products-solutions/xenmobile-security-understanding-the-technology-used-by-xenmobile.pdf. 8. If I now switch to a mobile world and I mean using a smart phone or tablet and for convenience sake I’ll be using the Secure Notes app I can see that I have the similar same capabilities and functionality vs. the secure website versions. 9. I can insert a picture, tag it, favourite it, set a reminder e.t.c but now I can record audio. 10. I can create my notes offline and when your back online it will sync your note(s) back up to ShareFile and you’ll notice the red cloud icon disappear. 11. Send your notes as an embedded message within Secure Mail body vs. PDF file attachment by selecting your preferred choice. 2. Selecting a storage location for your notes upon setting up the app your asked if your prefer to store your notes in Microsoft Exchange Server or for your Secure Notes + within a ShareFile StorageZone. You can provide users with a choice of both upon on-boarding within the Secure Notes app. 3. Once users have been setup the XenMobile Secure Hub agent can handle SSO or push the app to users whom have enrolled into XenMobile’s MDM. 4. Supported file formats include – *.M4A, *.JPEG, *.PNG, *.BMP, *.GIF, *.WebP for rich editing experience. This entry was posted in Citrix, Citrix Cloud, Digital Workplace, Digital Workspaces, MDX, Mobile Application Management, SecureNotes, Workspaces, XenMobile, XenMobile Server (XMS), XenMobile Service and tagged Citrix Secure Notes, MDX, mVPN, Secure Notes, SecureHub, ShareFile, XenMobile, XenMobile Service on October 7, 2017 by lyndonjonmartin. The following content is a brief and unofficial prerequisites guide to setup, configure and test XenMobile NetScaler Connector 8.5 prior to deploying in a PoC, Pilot or Production environment by the author of this entry. The views, opinions and concepts expressed are those by the author of this entry only and do not necessary conform to industry descriptions or best practises. 1: The XNC installation is very straight forward simply download the software package from the download area of www.citrix.com using your www.citrix.com access details and execute the software package and follow the onscreen instructions. The XNC system requirements can be at – http://support.citrix.com/proddocs/topic/xmob-xnc-85/xmob-xnc-system-reqs-con.html. 2: The XNC can be optionally installed on separate Windows Server 2008 R2 VM or installed on the same VM in-which you have installed and configured the XenMobile Device Manager 8.5. 3: If you install the XNC within the same VM as the XDM make sure that you configure the XNC web service port(s) to not conflict with your XDM configuration. 4: If you intend to keep the logs generated for a lengthly period even 7 days with a 100 users generates a fair amount of logs then I would suggest storing the logs on an alternative drive to that of the XDM installation as the logs can become quiet larger fairly quickly (1-20+GB) and if you have a fair number or users 100+ within your organisation it will cause increased IOPS activity of the VHD and the HDD storing the XNC logs will grow rapidly with all the ActiveSync requests. 1: Download the latest NetScaler 10.1 release as they now include the following wizards (a) XenMobile MDM for setting up the XDM using SSL_Bridge (b) NetScaler Gateway for R/A when using the XAC. 2: Review the architecture deployment and components diagram in eDocs at – http://support.citrix.com/proddocs/topic/xmob-xnc-85/xmob-xnc-deploy-wrapper-con.html. In the mean time check out the eDocs supporting documentation at edocs.citrix.com. This entry was posted in Citrix, Mobile Device Management, XenMobile MDM Edition and tagged Exchange ActiveSync Protocol, NetScaler, Secure Managed Gateway, XenMobile, XenMobile Device Manager 8.0.1 on June 22, 2013 by lyndonjonmartin.